The Archdiocese of Palo asks the faithful to observe the Holy Week by reflecting on the passion and death of Jesus Christ. 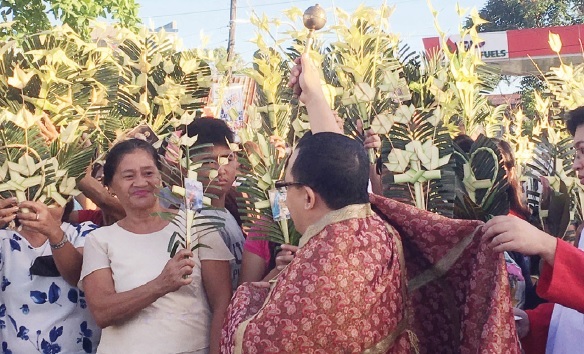 Photo shows the faithful having their palm fronds blessed by Fr. 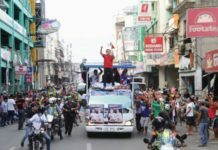 Raymund Mazo, parish priest of Saint Jude Parish on Sunday (April 14). TACLOBAN CITY – The regional offices of the Department of Tourism and the Philippine National Police issued safety tips to Eastern Visayas residents this coming observance of Holy Week and summer vacation. In the safety tips issued by the Police Regional Office (PRO) 8, Eastern Visayas residents who are leaving their homes are reminded to always lock all doors and windows and ensure that all possible entrances are blocked. If possible, install a burglar alarm to alert the neighbors if someone breaks in and do not leave notes outside the house indicating you will be away, the police advisory added. Owners are also encouraged to ask a trusted neighbor to keep watch over their houses while they are away. The police advisory also said that house owners should ensure that no candle, gas stove, leaking faucet or plugged appliance are left unattended then secure all items outside the house, such as clothes being hung out to dry and bicycles or vehicles. For those with vehicle and traveling drivers are advised to ensure the roadworthy of their car and follow the “BLOWBAG” rule: B – Battery, L – Light, O – Oil, W – Water, B – Brakes, A – Air, and G – Gas. Drivers must always bring the pertinent documents for the vehicle, including driver’s license, vehicle registration and Insurance Certificate. They must always make sure that car doors are locked and the windows closed especially if children are on board and must ensure control of the vehicle at all times. 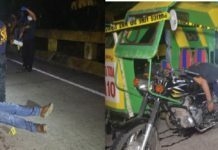 The PNP also advices drivers to avoid one-handed driving or using a mobile phone; avoid driving while drunk or sleepy. For night driving, drivers must always use headlights and signal lights and avoid driving when they have poor eyesight. For those who will use public transport and going to church, beaches and resort, the public are advised not to wear expensive jewelry or bring large amounts of money and always keep watch over their mobile phone. Do not bring too many items and always be early at airports and seaports especially in the case of women, children and senior citizens. If there are suspicious package or someone acting suspiciously immediately notify authorities and always be wary of snatchers and petty thieves, and report incidents to the nearest Police Assistance Post. With the influx of people taking advantage of the long holiday this Holy Week and the start of summer vacation, the tourism department also issued their safety tips to vacationists and travelers in Eastern Visayas tourist destinations. “As part of our measures to prepare for the upcoming Lenten and summer season, we would like to remind you to ensure the safety of our domestic, local and foreign tourists during the season,” Karina Rosa Tiopes, regional director of the Department of Tourism (DOT), said in the travel advisory. The tourism official also reminded tourists and visitors to always practice sustainable and responsible tourism by minimizing the use of plastic, strictly following the carrying capacity and imposition of do’s and don’ts particularly in tourism site like protected areas, water and power conservations. In the travel advisory, tourists and visitors were urged to do their research prior to visiting their chosen destination; ensure to pack important things like first aid kits, dry bag, hygiene kits, sunscreen, and flashlight; follow the warning signs for safety; and constantly drink water or juice to avoid heatstroke. The don’ts for tourists includes traveling without life jacket when crossing ocean, swim without lifeguard, leaving or disposing trash anywhere and avoiding wasting of resources like water and power. The DOT and PRO8 also encourages tourist and residents to save important numbers in their phones like police hotlines and tourism office hotlines for them to immediately have access to authorities if they have concern. Meantime, Father Chris Militante, spokesperson of the Archdiocese of Palo, said that while the observance of Holy Week should not be considered as a vacation time for the Catholics. He asked them to do some reflections and take time in commemorating the holiest time in the Catholic calendar by recalling the passion and death of Jesus Christ.